Laurel teaches Data Science and MIS industry experiences. She is also one of the managers of the Temple Community Platform. As part of this project, she played a major role in creating and implementing a professional development program for the MIS department. 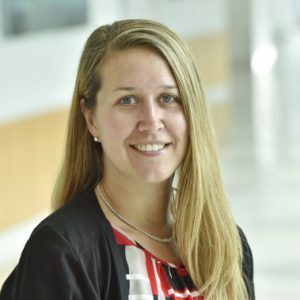 As Director of IBIT, Laurel manages industry engagement including a corporate membership program, Fox IT advisory board, Fox IT awards, executive-in-residence, Fox IT Symposium Series, Fox IT career fair, IBIT Scholarships, and corporate training. She is the Managing Editor for The IBIT Report, a white paper style report based on academic research. Laurel co-founded IBIT after it was restructured in 2004 and has raised more than $2 million in funding. In 2017, Laurel won the Faculty Teaching Award from the MIS department at the annual IT Awards Reception. Laurel won the ACM Student Organization Outstanding Service Award in 2001. She also won the MIS Administrative Leadership Award in 2001 and 2003. She earned her Bachelor of Science in Early Childhood and Elementary Education and Master of Science in Education degrees from Temple University.